Overconsumption is placing an intolerable strain on the planet's natural resources and environment, with climate change a major symptom of the problem. Fast-fashion and careless purchases only exacebates overconsumption. You could save space, money, energy and pollution by making careful and thoughtful purchases, considering quality over quantity. It seems like a simple message, but its reach is often limited to those inside the green belt. Thanks to the efforts and support of celebrities such as those listed below - the modern vision of sustainable fashion is reaching new audiences. We applaud these amazing women and their commitment to a more sustainable future. 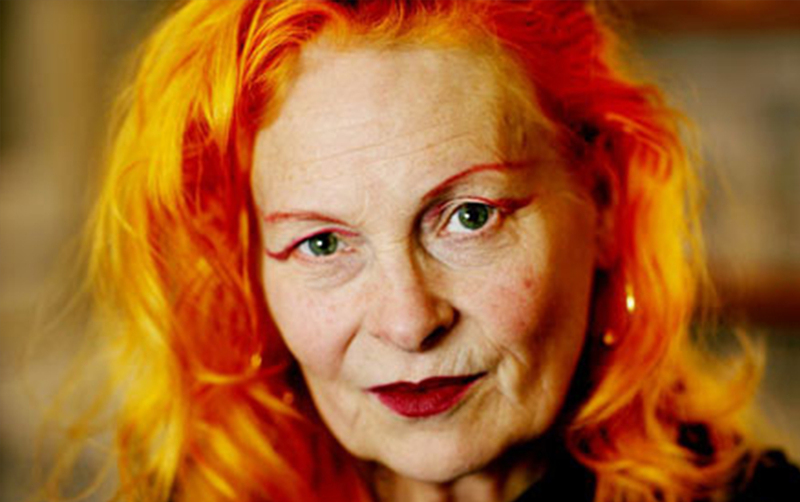 We have often written about Vivienne Westwood and her sustainable fashion work. In fact, she recently shaved off her famous red locks to raise awareness for climate change. "It's so hard to get people to care and realise what a huge difference fair trade can make to someones life." Before #heforshe, all the way back in 2010, Emma launched People Tree youth fashion to spread the message of Fair Trade and sustainable fashion to an international audience. More recently she has collaborated with the likes of Livia Firth to spread the message of sustainable fashion. "How did we reach an era where we have to certify things that should be normal? I was born before fast fashion. When I was a student and when I started working, we didn't have fast fashion and yet I managed to get dressed every day in a nice way. I just invested in pieces which were good quality and would last a long time in my wardrobe. Call it 'eco-fashion' if you like, but I think it's just common sense." We recently did a post on Livia and her quest to turn the red carpet green. You can read all about it here. "I try to be environmentally responsible in everything I do and everything I bring into my life. Every time I make a decision, I think, 'How is this going to affect the environment?' I really think hard about what is the most responsible choice." I am a big fan of Alicia, of her low carbon lifestyle and the kind-life diet. She shares sustainable lifestyle and fashion inspiration on her blog, the kind life. "It's not a question of saying no to production – it's about changing those structures so that they're not exploitative."